Hey everyone. So, first things first – the focus of this blog isn’t going to be reviews anymore. I’ll still post the occasional review (and there are plenty coming up, for authors who have been patiently waiting – thank you), but for too long I’ve been struggling with being a writer and writing reviews. I’ve created different blogs, tried a couple of websites, etc. But when I’m working on one I tend to neglect the other, to the point that I don’t work on either. Anything. And deleting this blog, with it’s reviews, interviews, etc. would just be supremely dumb. So I’m going to concentrate both my writing and reviewing here. And that means that, until I specifically say so, I’m not open to receiving new books to review. I have to consciously and proudly make the switch from reviewing to writing – for myself. There are writers whose work I will gladly snap up and read / review (I think you have a good notion of who you are), but nothing new for the foreseeable future. Life has a way of getting complicated and busy. Vampire Hunter Kros fights a battle at night as fearful and horrific as the battles fought during the day at the Battle of Gettysburg. All wars are horror stories. Gettysburg, July 1-3, 1863. The blood soaked battlefields of the Civil War draw Vampires who descend to feed on the wounded and dying as Blood calls to Blood. One man, a Vampire Hunter named Kros, stands against them, waging a battle at night as fearful and horrific as the battles fought during the day. 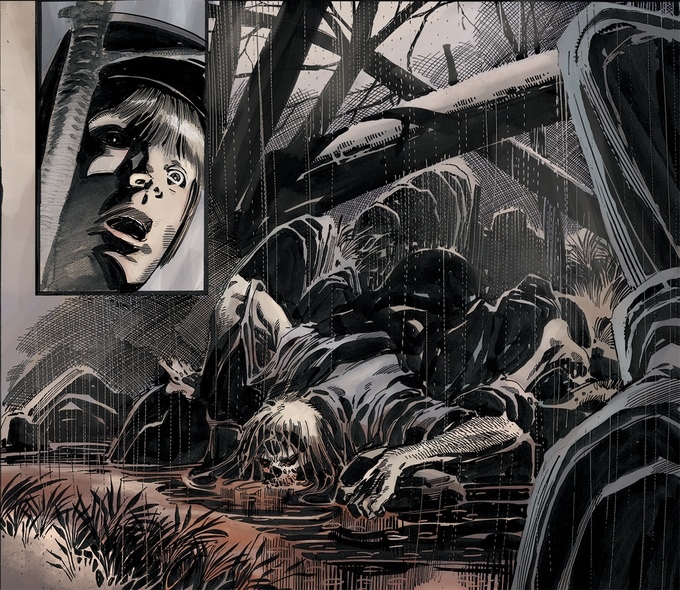 KROS: HALLOWED GROUND is a 128 page horror graphic novel by John Ostrander and Tom Mandrake. Kros is a dream project and Kros’ story is one we have been wanting to tell for a long time. With just under 24 hours to go, this kickass Kickstarter project has been FULLY FUNDED! Absolutely epic news for John Ostrander and Tom Mandrake! 🙂 The first stretch-goal has been achieved and the second, which will see 20 additional pages of content added to the graphic novel, is very close to being passed. 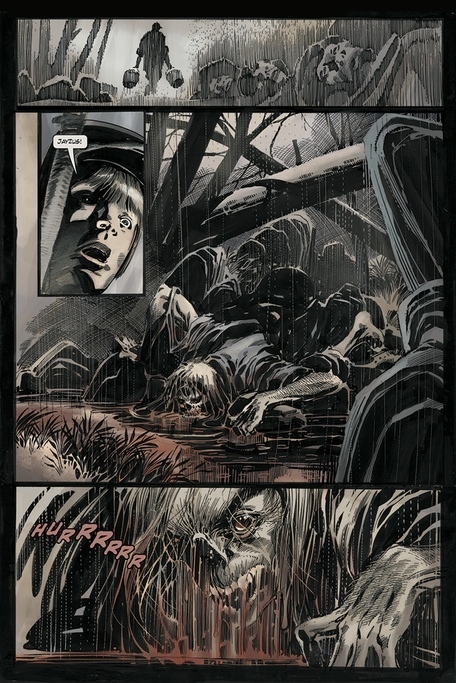 Set against the backdrop of the Battle of Gettysburg during the Civil War, KROS: HALLOWED GROUND is a tale of horror that follows the story of Vampire hunter, Major Kros, who fights two wars. During the day, Kros fights the battle history remembers. At night, he fights a secret battle against supernatural forces. Kros himself is an enigmatic character. He’s a dampyr – a vampire hunter – and has some of the vampire’s abilities. Long lived, Kros cares nothing for the politics of ordinary mortals. The Civil War means nothing to him. Kros is on the trail of the undead. There are considerable dangers to Kros as well–and death is not the worst of them. Blood calls to Blood and there is always the danger that could be turned and become that which he hates. Around Kros are ordinary people, civilians and soldiers from both the North and South in the midst of a cauldron called Gettysburg. They have faced the conflict and horror of the battlefield and now must face an even greater horror. Vampires have followed the armies and come at night to feast on the fallen. A second battle is fought at Gettysburg of which the history books know nothing. That’s the tale we want to tell. We’ve waited a long time to tell it. With your help, it will happen. The KROS: HALLOWED GROUND 128 page graphic novel will include character and production artwork by Tom Mandrake, cover/poster art, as well as a short KROS story by John Ostrander. Definitely a graphic novel I’m looking forward to devouring, and I’m really stoked for Tom and John that this dream of theirs is in the process of becoming a reality. 🙂 If you’d like to help make sure that the next stretch-goal is reached and passed -and who wouldn’t? There is some really cool swag to be had in exchange for your help- check out the project’s page over at Kickstarter. I’ve got a brand new book for you to snap up! This story isn’t really about me. On the Isle of Skye, near the community of Dunvegan, sits a rustic old one-bedroom home, waiting for a new tenant. It seems like the perfect opportunity for Jim Greenwood to escape the hectic London city life—a place to move on from tragedy. This is the story of a house. As he tries to settle into country life, his is tormented by mysterious soot marks left throughout the house while he sleeps, cryptic e-mails from unknown senders, and hundreds of hand-drawn stick-figure drawings etched in a perfect pattern on the cottage’s cellar walls. Jim begins losing control, drinking excessively, shaking to an uncontrollable beat in his head, trying to decipher what may or may not be a code—or a warning. No limbs, no limbs, no head, no head, left arm gone, left leg gone, no legs, no head. The door is open, and something is coming through. It’s just a matter of when—and what. 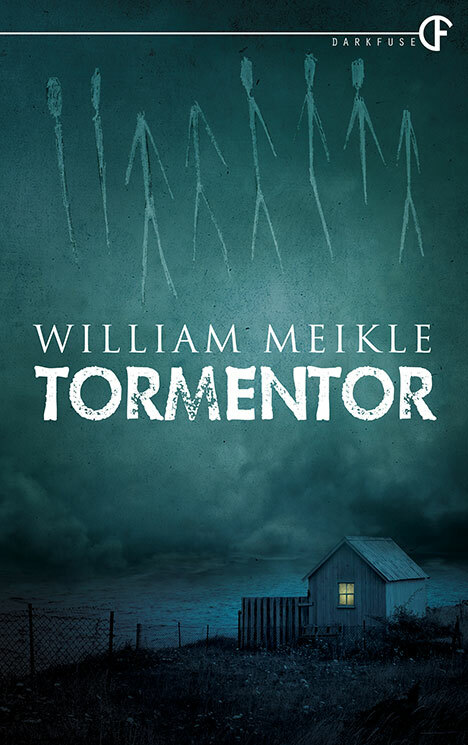 The book was released yesterday and looks like it could be an incredibly chilling read, so if you’re looking for a good Horror tale to keep you up at night, your search might just be over! You can purchase the book for your Kindle at the following links: Amazon US, Amazon UK. And do check out William’s website – the man has a great backlist to dive into! Gollancz, an imprint of The Orion Publishing Group, has bought world rights to a remarkable SF debut. Written by an assured new UK author, Crashing Heaven echoes classic SF and brings a cutting edge digital twist. Simon Spanton, Gollancz Associate Publisher, bought rights for two books from London author Al Robertson in a major pre-empt ahead of an auction, through Sue Armstrong at Conville & Walsh. The first novel, Crashing Heaven, will be published in June 2015. Crashing Heaven follows a unique friendship and ultimately asks what it means to be human in our technologically advancing world. 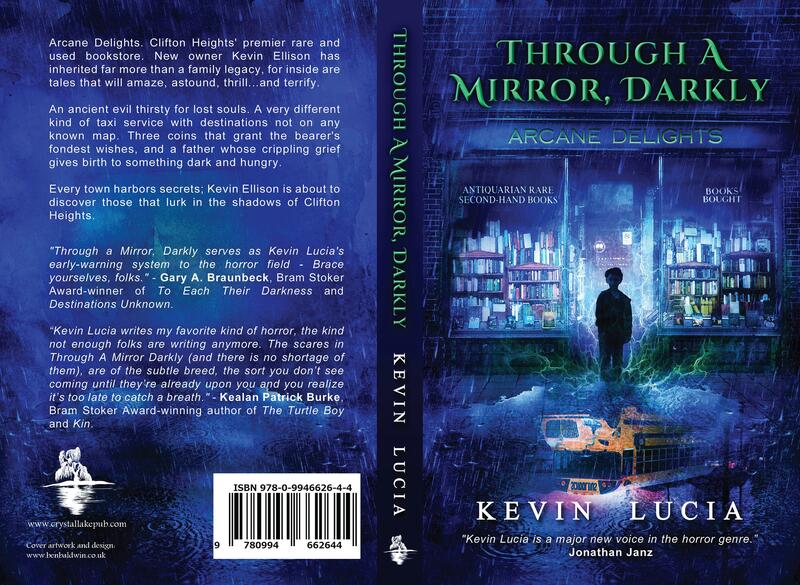 Crackling with energy and wit, it will appeal to fans of everything from detective noir to genre classics like Neuromancer. Al Robertson has already been shortlisted for the BSFA short story award and longlisted for the British Fantasy Award. For more information about Al Robertson you can visit his website or follow him on Twitter: @al­_robertson.